The second issue of WYTCHES by Scott Snyder and Jock, one of the most buzzed about horror series of the year, has garnered rave reviews and left readers horror-stricken and hopelessly hooked. It is slated for a second printing in order to continue to haunt readers. 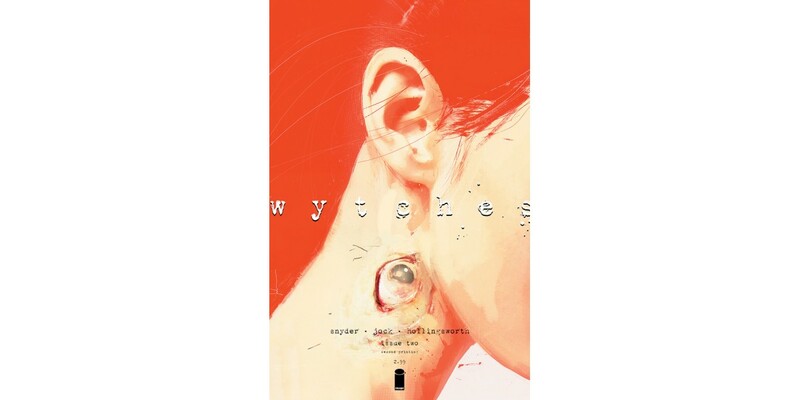 In WYTCHES #2, a strange bite grows on a girl’s neck and the wytches are getting closer, creeping out of the woods. Readers beware, this terrifying second chapter of the new smash hit WYTCHES is even more chilling than the last. Across the globe, century after century, men and women were burned, drowned, hanged, tortured, imprisoned, persecuted, and murdered for witchcraft. None of them were witches. But witches—real witches—are out there. They are ancient, elusive, and deadly creatures that are rarely seen and even more rarely survived. WYTCHES #2 is also currently available digitally on the Image Comics website (imagecomics.com) and the official Image Comics iOS app, as well as on Comixology on the web (comixology.com), iOS, Android, and Google Play. The second printing of WYTCHES #2 (Diamond Code OCT148059) will release on 12/10. WYTCHES #3 is available in stores on 12/17 and can be pre-ordered with Diamond Code OCT140779.